Did you ever read a book and feel that you were holding up a mirror to yourself? 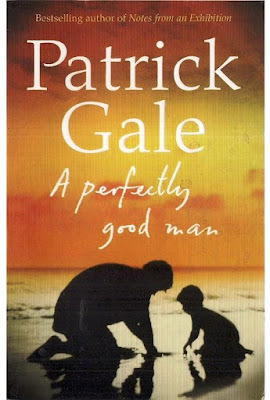 Over the last few months, I have read a number of books, and my holiday reading included Patrick Gale’s novel, A Perfectly Good Man. I had never read any of his novels before, but this book was recommended to me by someone who felt she was eerily reading a book about someone who knew more about me than she realised was possible. Without giving away the story line of this book, in many ways these two lines could describe how Patrick Gale narrates his story in A Perfectly Good Man. As I read it, I was not waiting to discover what happens in the end, but was waiting for an end that could tell me why all that is happening is taking place. I was surprised at the writer’s twists and turns, but more taken aback when I felt I was holding up a mirror to myself. There is the description of farm life that brought me back to a time when I lived on my grandmother’s farm. There was the religious experience in teenage years that become a life-changing for the main character, Father Barnaby Johnson. There is his approach to spirituality and liturgy, his choice of reading, and the off-centre involvement of Quakers. I am more positive about my experiences of old second-hand bookshops, but I could identify with his experience of visiting the old ancestral home in rural England. There is his dysfunctional relationship with his father, his liberal boarding school or minor public school education, a sibling who died while he is still in his teens, an adoption, and a feeling of being marginalised or even being an outsider at a parent’s funeral. There is his participation in street protests in 1980s England, which parallels my own role in CND protests. There are developed interests in art and the artist, in museums and music. And there is the powerful use of a Facebook group today and the impact of social media. Even the graffiti on the church walls, which may shock many readers, even those who are not churchgoing, reminded me of graffiti I found on a church wall many years ago while I was providing Sunday cover. And there is the chilling parishioner, Modest Carlsson, who shows that cruelty and evil can stalk the land. This is a very Anglican story about a very Anglican priest. Time and again, in recent months, I have asked who decided in recent years that “good enough” is simply not good enough, that we have to excel? They are wise words, indeed. But too often they go largely unheeded. Father Barnaby is a complex and nuanced character. Yet he is also an ordinary man, with all the sinfulness, temptations and ambiguities of a good but ordinary man. It is also about cruelty, deception and love, and it is written with compassion and understanding. Patrick Gale was born in 1962 on the Isle of Wight, the youngest of four children of a prison governor. He was educated at The Pilgrims’ School, the choir school for both Winchester Cathedral and Winchester College, then at Winchester College and at New College, Oxford. He has had a range of jobs, including singing for the London Philharmonic Choir, and he wrote his first novel while working as a waiter in an all-night restaurant. He now lives on a farm near Land’s End in Cornwall. I do not know Cornwall, but many his descriptions of England could be of places I know and love near Lichfield and in rural south Staffordshire, or in East Anglia, North Wiltshire or the West Country, although the setting could easily be moved to many parts of Ireland too. This is a discussion of what it means to be a good person that should be read by every priest and every aspiring priest. Once again, it is an example of a novelist dealing with religion and belief in the 21st century, and with so many of the issues debated in pastoral theology today. Patrick Gale A Perfectly Good Man (HarperCollins UK/Fourth Estate, 2012).